A critical evolutionary step during rice domestication was the elimination of seed shattering. Wild rice disperses seeds freely at maturity to guarantee the propagation, while cultivated rice retains seeds on the straws to make easy harvest and decrease the loss of production. The molecular basis for this key event during rice domestication remains to be elucidated. Here we show that the seed shattering is controlled by a single dominant gene, Shattering1 (SHA1), encoding a member of the trihelix family of plant-specific transcription factors. SHA1 was mapped to a 5.5 kb genomic fragment, which contains a single open reading frame, using a backcrossed population between cultivated rice Teqing and an introgression line IL105 with the seed shattering habit derived from perennial common wild rice, YJCWR. The predicted amino acid sequence of SHA1 in YJCWR and IL105 is distinguished from that in eight domesticated rice cultivars, including Teqing, by only a single amino acid substitution (K79N) caused by a single nucleotide change (g237t). Further sequence verification on the g237t mutation site revealed that the g237t mutation is present in all the domesticated rice cultivars, including 92 indica and 108 japonica cultivars, but not in any of the 24 wild rice accessions examined. Our results demonstrate that the g237t mutation in SHA1 accounts for the elimination of seed shattering, and that all the domesticated rice cultivars harbor the mutant sha1 gene and therefore have lost the ability to shed their seeds at maturity. In addition, our data support the theory that the non-shattering trait selection during rice domestication occurred prior to the indica–japonica differentiation in rice evolutionary history. The online version of this article (doi: 10.1007/s00425-006-0460-4) contains supplementary material, which is available to authorized users. We thank the International Rice Research Institute and Chinese Rice Research Institute for providing the common wild rice and cultivated rice samples. 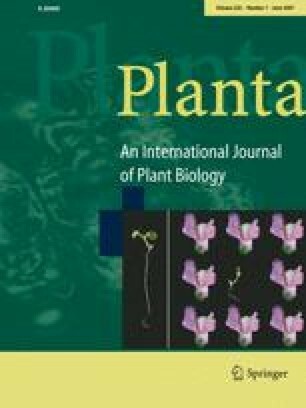 This work was supported by grants from the Conservation and Utilization of Agro-Wild Plants of the Ministry of Agriculture of China, the National Basic Research Program of China (2005CB120801).